The Official UFC OPRO Silver gum shield is perfect for all combat sports including MMA, boxing, karate, taekwondo and more. 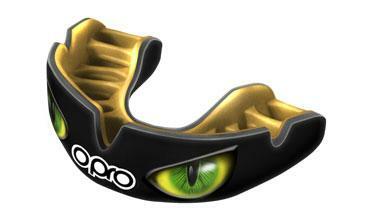 What is the OPRO UFC Silver Mouthguard? 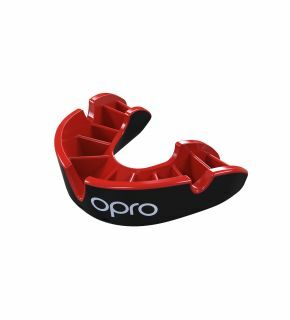 It is the match level mouthguard in the OPRO range. Available in a range of colours, you can customise your look! Ideal for all sports, but with its UFC branding, this official UFC gum shield is ideal for combat sports. How do I fit my OPRO Mouthguard? Your silver level UFC gum shield is very easy to fit. Either follow the instruction included in the pack, or watch the instructional fitting video. Each pack will come with a fitting handle that is exclusive to OPRO. This not only makes the mouth guard easy to handle during the fitting process, but also allows you to place the mouthguard into your mouth centrally. What makes OPRO Mouthguards so good? We have over 20 years’ experience in making mouthguards for athletes worldwide. Thanks to this experience and our love for providing athletes with the best, we can now offer you the best. Each mouthguard has fins made from high flow gel. This softens during the fitting process so that the mouth guard can mould to the unique contours of your teeth, gums and mouth. How do I order my Silver Mouthguard? Simply choose your chosen colour and design and add it to your basket. Take advantage of our next day UK delivery by placing your order by 3pm on any working day. Experience a mouthguard unique to you, made by the best in the business!